Built in Sector 70A, Gurgaon, BPTP Astaire Gardens is a residential development by BPTP. The project is sufficed with all modern amenities and covers 2BHK, 3BHK, 4BHK and 5BHK apartments, plots, independent floors and villas. Being close to all necessities, it has good connectivity to the rest of the city. 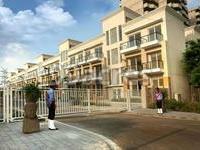 Sector-70A, Gurgaon is one of the lately developed area of Gurgaon. Being a planned city, Gurgaon has quickly emerged as a realty hotspot. Now the city is running short of residential and commercial space. In which area is BPTP Astaire Gardens located?The project is situated in Sector-70A, Gurgaon. What is available flat size in BPTP Astaire Gardens? Flat sizes in the project range from 1090.0 sqft to 2512.0 sqft. What is size of 2 bhk in BPTP Astaire Gardens? The area of 2 BHK apartments is 1620.0 sqft. What is the 3 bedroom size in BPTP Astaire Gardens?  The area of 3BHK units in the project varies from 1090.0 sqft to 2512.0 sqft. What is the area of BPTP Astaire Gardens?The total area that the project occupies is 102.2 Acres. What is price of 2 bhk in BPTP Astaire Gardens? 2 BHK apartments in the project are available at a price of Rs. 7900000. I am planning to rent a 3 BHK in BPTP Astaire Gardens. What is the ask rate? Hi Swati! Rent of a 3 Bedroom set in BPTP Astaire Gardens is in the range of Rs 20,000 to Rs 25,000. Rent depends on factors like side facing of the apartment, floor on which it is situated and the amenities offered. You will also pay 1 or 2 months rent in advance in the form of a security deposit, and maintenance charges would be additional which are around Rs 2.75 per square foot. I am planning to invest in BPTP Astaire Gardens. Is it a wise decision? Please assist. HI Vartika! Even though property rates in the sector- 70 A have increased by almost 5% in the past six months, prices in BPTP Astaire Garden have gone down by 3% during the same period. However, with a proposed metro station and other infrastructural developments like southern peripheral road extension into an expressway with six lanes, proposed malls and commercial complexes will help to boost the property rates. To aid the residents, the society has also planned to open a shopping centre for day-to-day needs. You can also consult a broker who can help you to know about BPTP Astaire Garden with other projects in this sector like AIPL the Peaceful Homes and AIPL Zen Residences, among others.